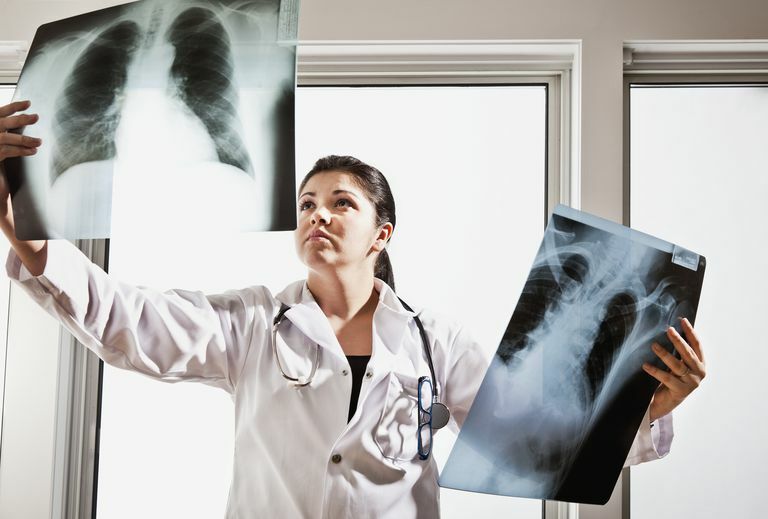 What is the Yearly Mortality Rate from Lung Cancer? It's a difficult question to ask. How many people do we lose to lung cancer every year? Lung cancer is the leading cause of cancer deaths in both men and women in the United States and worldwide. In the U.S., lung cancer is responsible for 29 percent of cancer deaths, more than those from breast cancer, colon cancer, and prostate cancer combined. In 2012, the most recent year for which we have statistics available, 157,423 people -- 86,689 men and 70,734 women -- died from lung cancer in the U.S. Since smoking is responsible for 85 percent of lung cancers, statistically lung cancer caused by smoking is responsible for nearly 135,000 U.S. deaths per year. That said, at least 60 percent of lung cancers diagnosed today occur in those who either have never smoked or quit smoking in the past. Cigarette smoking, including a past history of smoking, remains the leading cause of lung cancer, while exposure to radon in the home is the leading cause in non-smokers. Secondhand smoke (made up of both mainstream smoke and sidestream smoke) is believed to account for about 3,400 lung cancer deaths per year in those who have never smoked. The overall survival rate for those with lung cancer, sadly, remains at around 17 percent. Despite being the leading cause of cancer deaths, funding for lung cancer lags far behind that of several other cancers, perhaps due to the stigma – the feeling that somehow people deserve to develop lung cancer because of smoking. Nobody deserves to develop cancer. Despite the sad statistics mentioned above, this is a time of hope for people with lung cancer, and the statistics above may be slightly misleading since they are based on data that is already a few years old. It may help to be aware that in the past 4 years there have been more drugs approved for the treatment of lung cancer than there had been in the 40 years preceding that. For those newly diagnosed with lung cancer, it can be helpful to learn as much as possible about the disease. If you haven't had genetic testing (molecular profiling) for lung cancer, talk to your doctor. Also take the time to learn about clinical trials for lung cancer and whether or not any of these would fit your specific needs. In November of 2015, lung cancer awareness month, several survivors were featured on social media. A repeated theme was accounts from people who stated they were alive because of clinical trials that they discovered through participation in the online lung community instead of through their doctor. Do your research and connect with others with the disease. It can make a difference! And, talk to your doctor about clinical trials or consult the free clinical trial matching service available for people with lung cancer. Looking back from the year 2016 at the year 2015 there were 6 new medications approved for the treatment of lung cancer (targeted therapies and immunotherapy.) This means that in 2014 the only people who could receive these drugs that worked better than standard treatments available were those who were involved in clinical trials. As the leading cause of cancer-related deaths in both men and women in the United States and worldwide, we lose far too many people from lung cancer each year. Though the news is not all dismal. The number of new diagnoses of lung cancer appears to be decreasing for men and has stablized for women. (Unfortunately, we are seeing an increase in young people, especially young never-smoking women.) Treatments are improving and the number of new treatments and categories of treatment options has taken off, with major approvals of drugs between 2011 and 2017, and approval of three immunotherapy drugs since 2015 alone. Survival rates are also improving. Part of the improved survival rates are due to the dedicated work of survivors and advocates who have been consciously working to change the face of lung cancer and increase the amount of research money available for this underfunded disease.